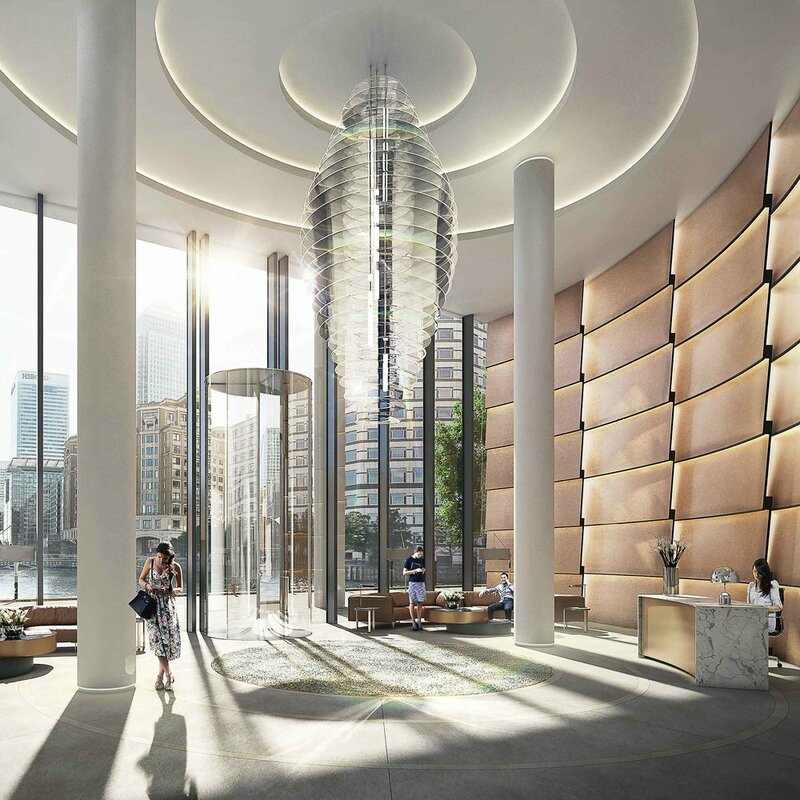 Situated alongside Grade 1 listed buildings this project occupies a key landmark site that will be an icon amongst the new towers on the Isle of Dogs. Tasked with designing the interiors of the building we started by creating a landmark lobby, acting as a beacon across the dock just like the lighthouses of old. With entrances from both the East and West a spine of arrival was created to link the two lobbies together. 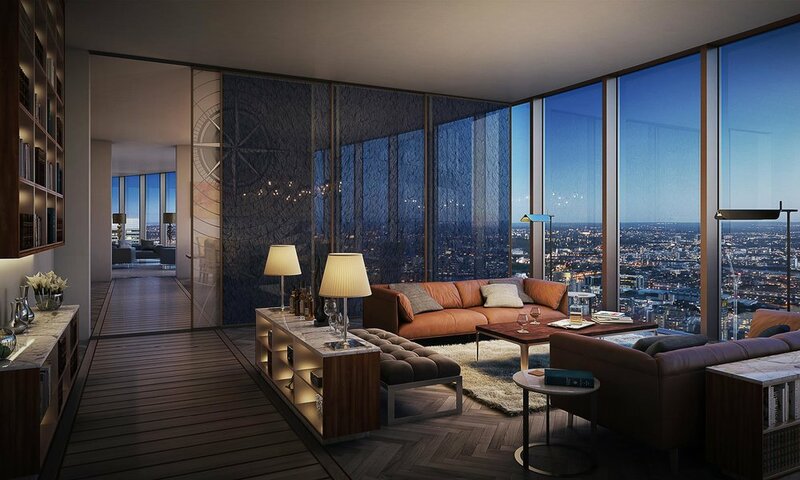 Floor three forms the podium and contains a children’s play area and a private outdoor terrace for the residents. The building comprises of studios to three bedroom apartments across the 64 floors. The top floors contain a series of luxurious penthouses and duplexes. Floor 35 is the heart of the building containing a gym & fitness studio, office, cinema, restaurant & bar, club room lounge and private dining faculties. Additionally a steam room and sauna surround a pool with a panoramic infinity edge providing the height of sky high luxury. We worked closely with the Client , developing a palette of materials sensitively acknowledging and responding to the heritage and historic importance of the area.